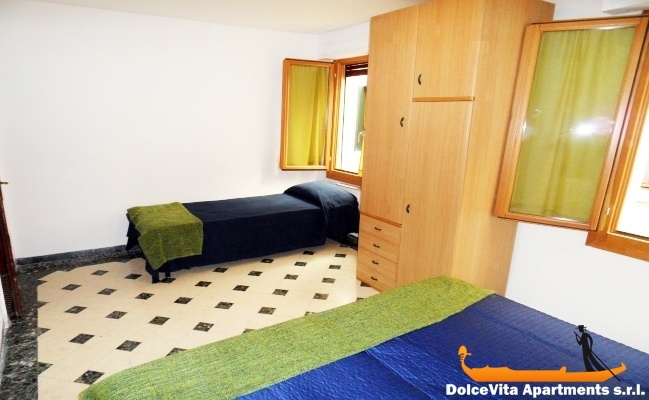 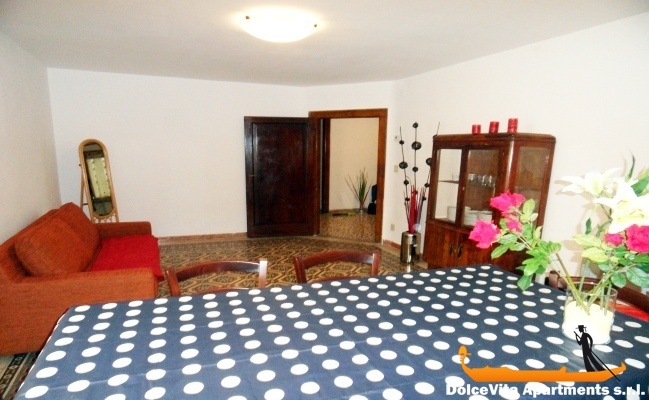 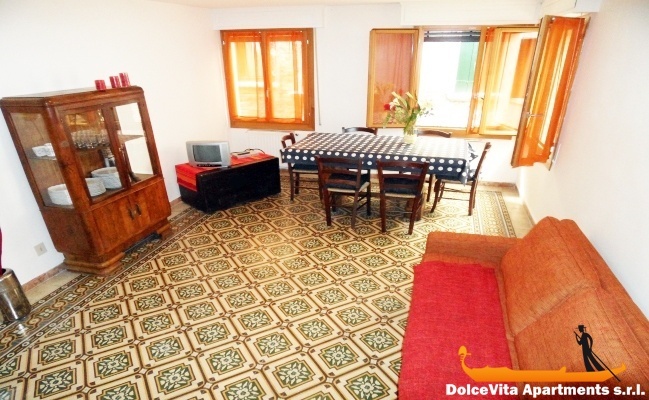 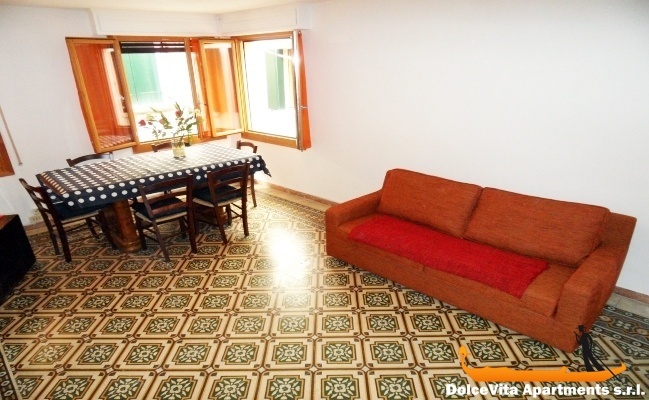 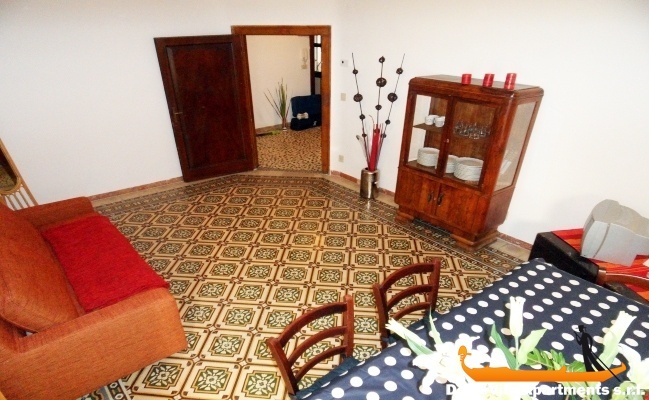 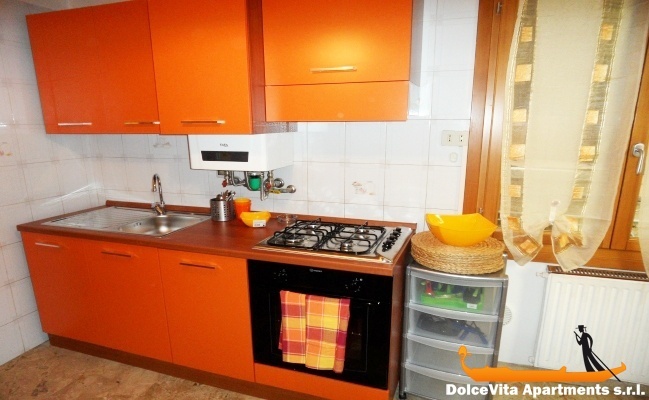 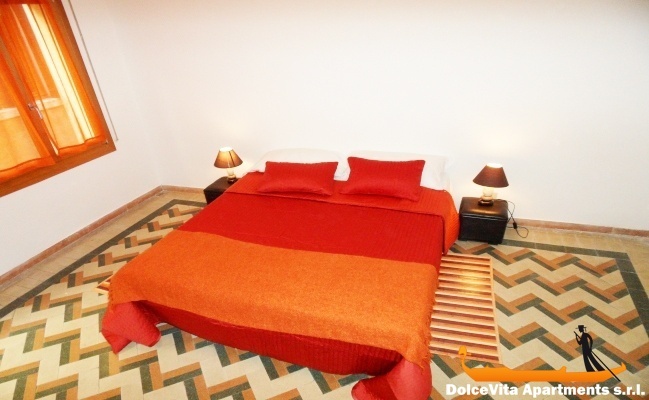 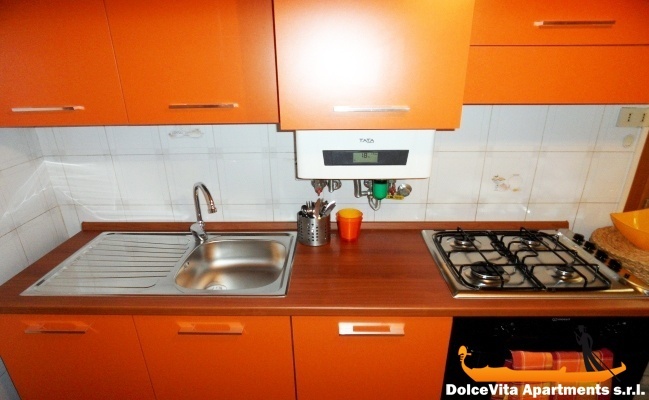 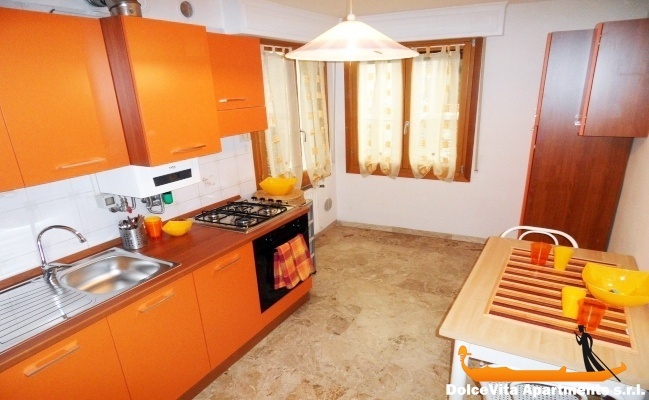 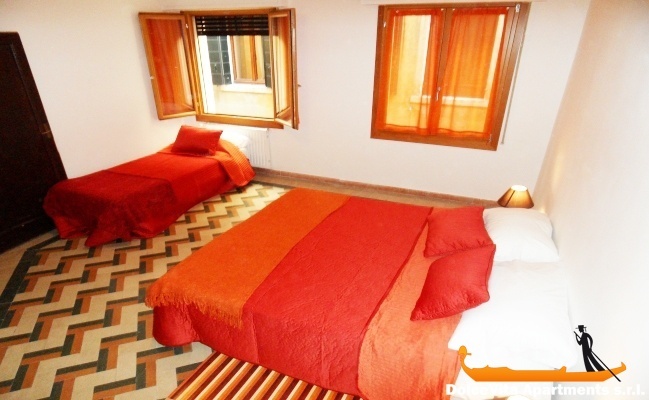 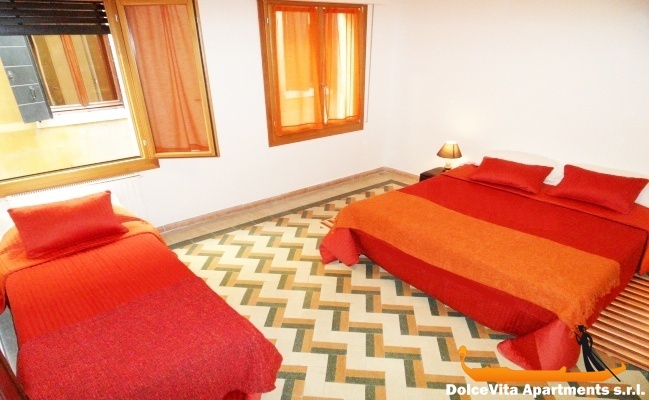 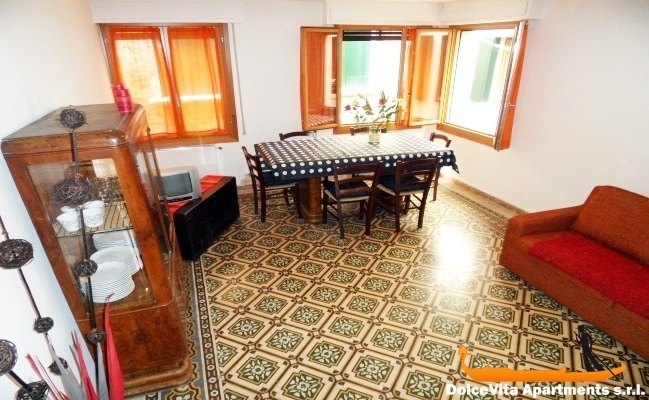 Apartment N. 64: It can accommodate up to 8 people, it is rented from 175 € per Night (not per person). 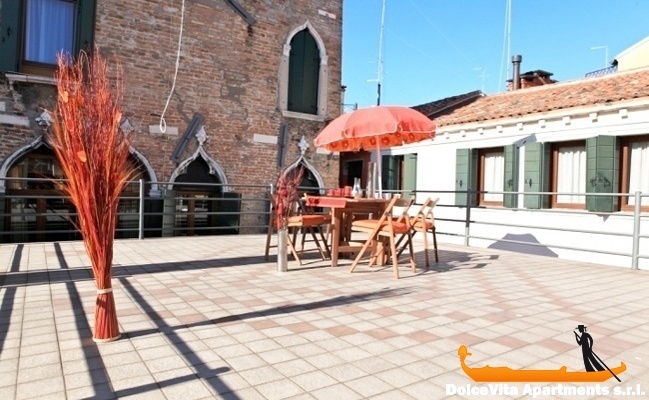 This large and spacious Venice apartment for eight people in the heart of Venice is characterized by the central position. 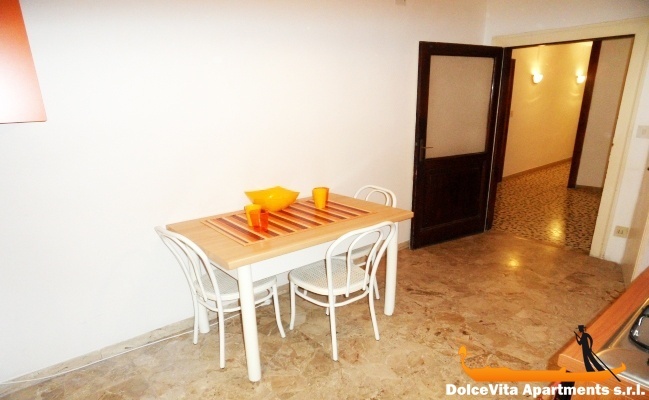 It consists of a lobby area, a new well appointed kitchen, a large and bright living room with king-size sofa bed, a table with chairs and TV corner. 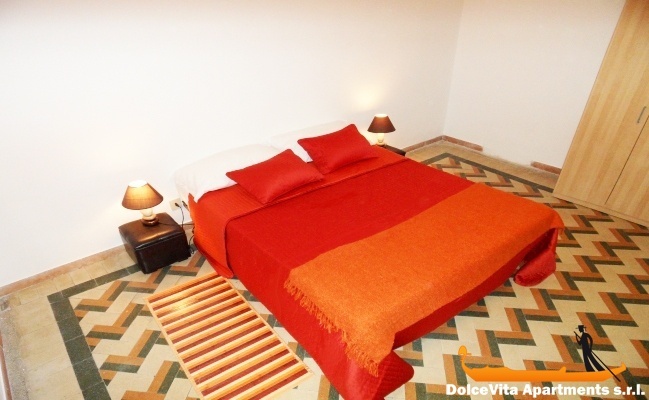 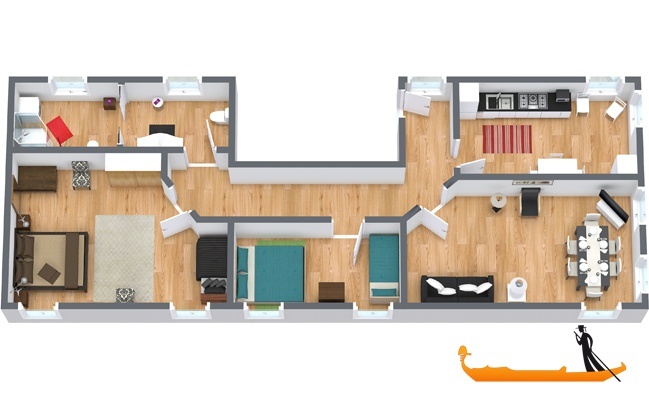 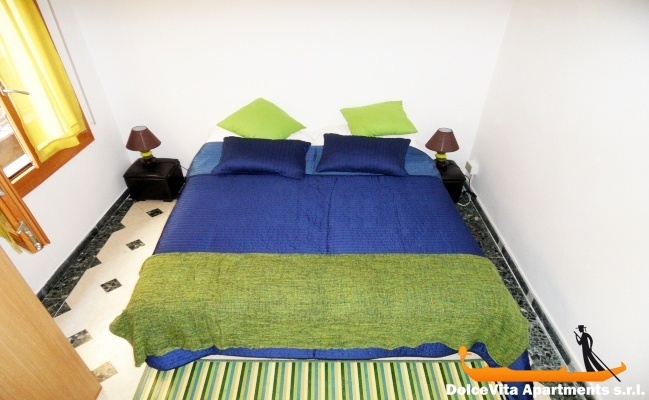 There are two bedrooms, each with a comfortable king-size bed and the possibility of adding a third bed. 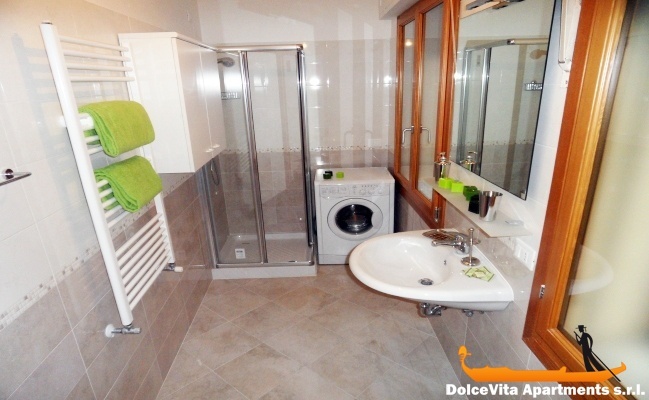 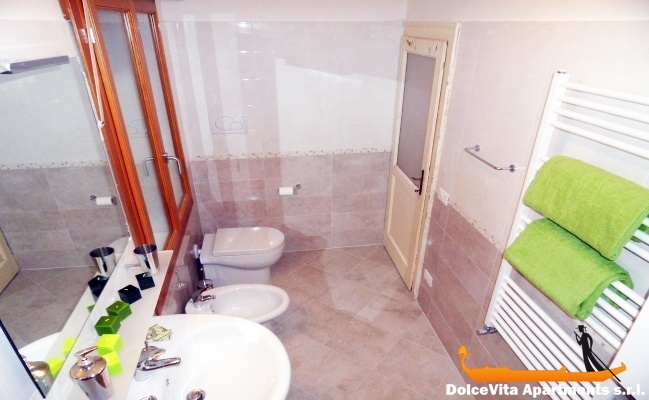 The bathroom was renovated in early 2012 and it is complete with shower, bidet, toilet, sink and washing machine. 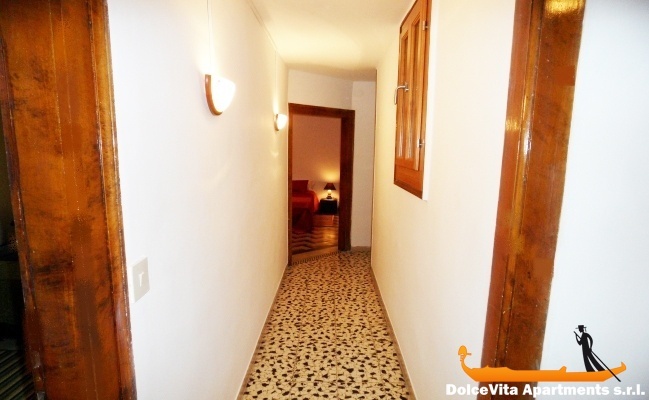 It is located on the first floor and has a typical plant called "Venetian terrazzo." 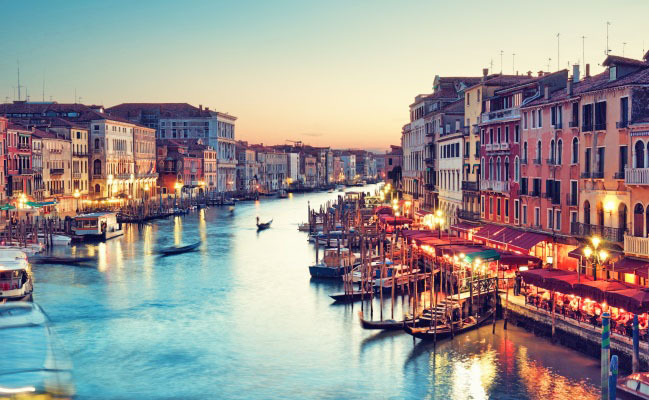 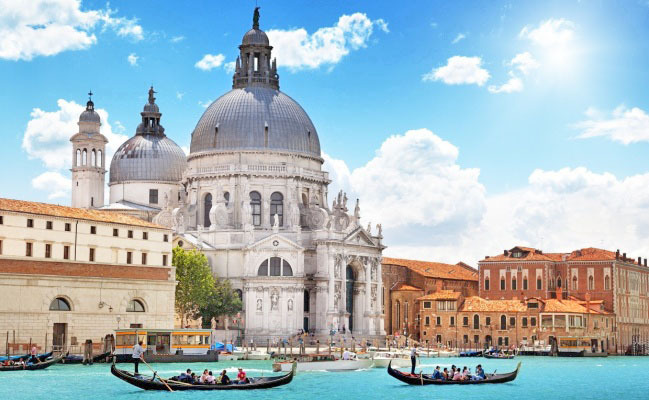 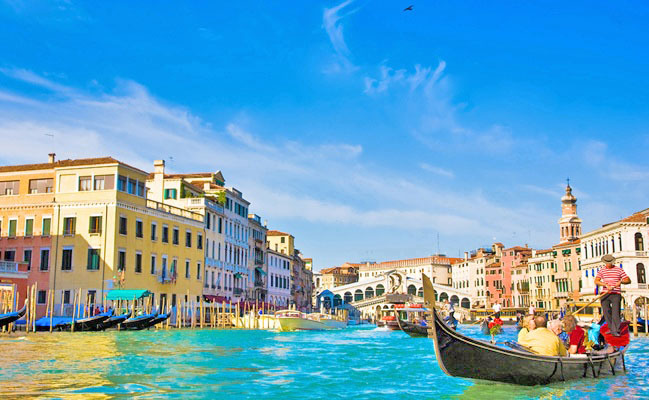 The waterbus stop "Rialto" is about one hundred meters, while St. Mark square can be reached in five minutes.